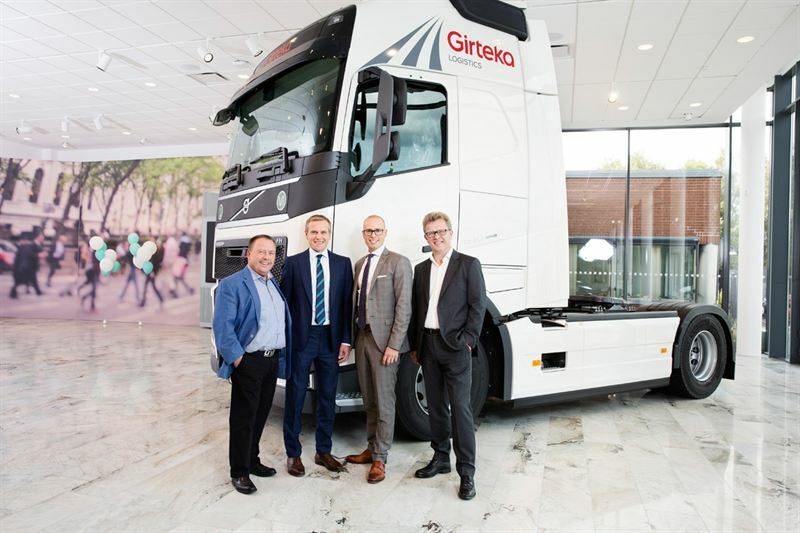 Girteka Logistics, one of Europe’s largest road transport companies, has ordered 2,000 new Volvo FH trucks to grow and renew its fleet. Roger Alm, Volvo Trucks SVP Europe presented the symbolic key to the new Volvo vehicles to Girteka Logistics, Chairman Mindaugas Raila in Gothenburg. 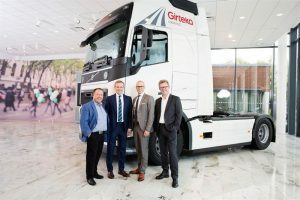 Girteka Logistics, one of the biggest European transport companies, has chosen Volvo Trucks for its biggest contract by buying 2.000 new Volvo FH units. Girteka Logistics is fast growing and the trucks will be used to both renew and grow the long haul fleet in Europe, Scandinavia and CIS/Russia. The 4×2 and 6×2 configuration trucks ordered by Girteka Logistics are equipped with 460-500 hp Volvo 13-litre engines, Globetrotter cabs, I-Shift automated gearboxes with Fuel and Economy software package, Driver Alert system and I-See predictive cruise control. All 2,000 Volvo FH units will be delivered before end of 2017. Girteka Logistics is a leading asset based FTL Transport Company in Europe, the company delivers more than 300.000 Full truck loads annually. The company grew organically from 600 trucks in 2010 to now more than 3.300 trucks and 3.500 trailers operating in Europe, Scandinavia and CIS/Russia. Girteka Logistics has more than 8.300 professionals at work, 7,000 of them are drivers.